In northern Tunisia near the shore of the Mediterranean Sea, the lake and wetlands of Ichkeul National Park are an important stopping-over point for hundreds of thousands of migrating birds each year. Among the lake’s visitors are ducks, geese, storks, and pink flamingoes. The park is on the United Nations Educational, Scientific, and Cultural Organization’s (UNESCO) list of World Heritage sites, and since 1996, the park has also been on the group’s List of World Heritage Sites in Danger. Dam construction on the lake’s feeder rivers has produced major changes to the ecological balance of the lake and wetlands. 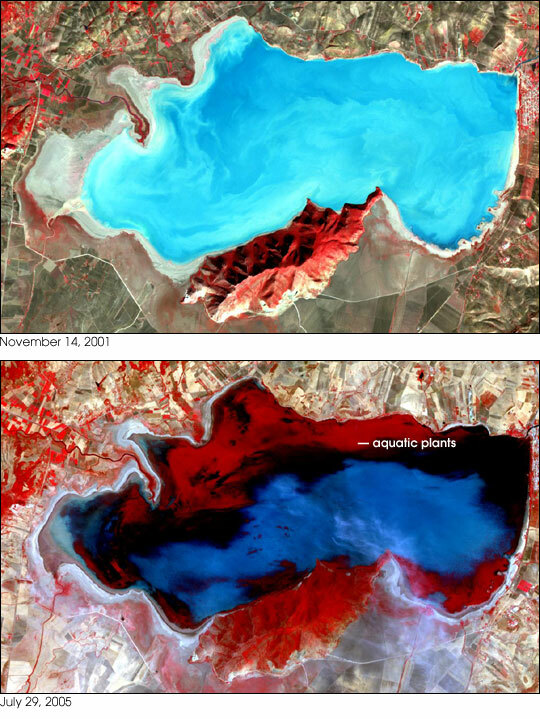 The pair of satellite images above shows changes in the lake level and aquatic vegetation between November 14, 2001 (top), and July 29, 2005 (bottom). Vegetation appears red, bare or thinly vegetated ground is tan, and water is blue. 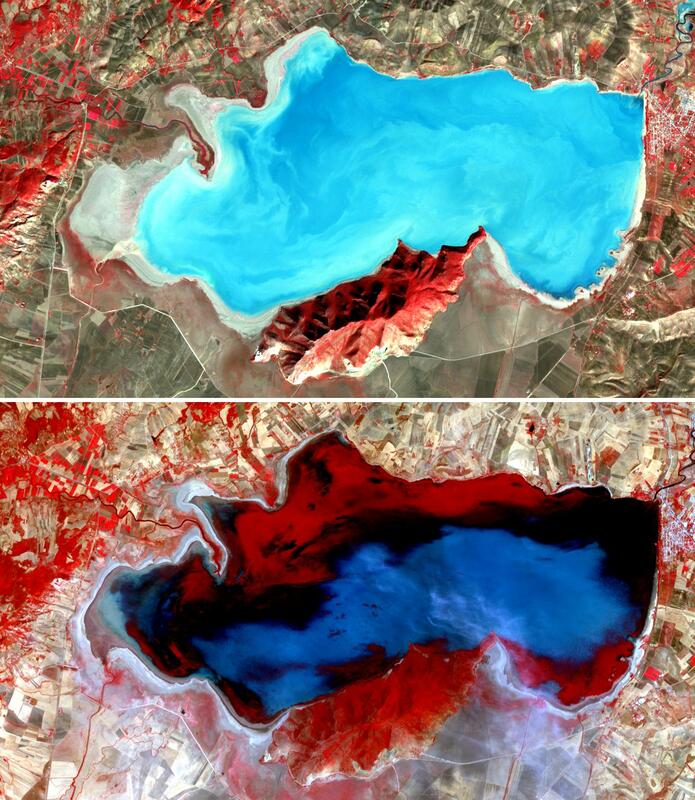 Although the lake level is higher in 2005 than in 2001, a large part of the lake appears red due to the presence of aquatic plants. 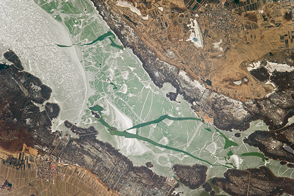 Because dams have sharply reduced the freshwater inflow to the lakes and marshes, reed beds, sedges, and other fresh-water plant species have been replaced with salt-loving plants. These changes have produced a sharp reduction in the migratory bird populations, which depended on the mix of plants that used to exist. According to the UNESCO Website, the Tunisian government has undertaken some steps to retain freshwater and reduce salinity, but some reports from the World Conservation Union suggest that the salinity has already become excessively high and the possibility for rehabilitation may be rapidly disappearing. The large images each cover an area of 11.4 by 20.0 kilometers, and they are centered near 37.1 degrees North, 9.7 degrees East.